This course is focused on learning and perfecting parapente piloting, thus increasing safety in all phases of the flight. The maneuvers that are made are a practical tool to recognize the different reactions and will be chosen and made from the personal level of each student, since the flights are individual. It is not necessary to complete all the maneuvers established in the program, since it depends on the personal situation of each student. It will be the instructor together with the student, who will decide which are the necessary configurations to realize. It is important to emphasize the importance of student participation in the elaboration of flight routines, each one learns from himself, the instructor is a guide and guides this process, the student must internalize and decide what are the steps to follow. 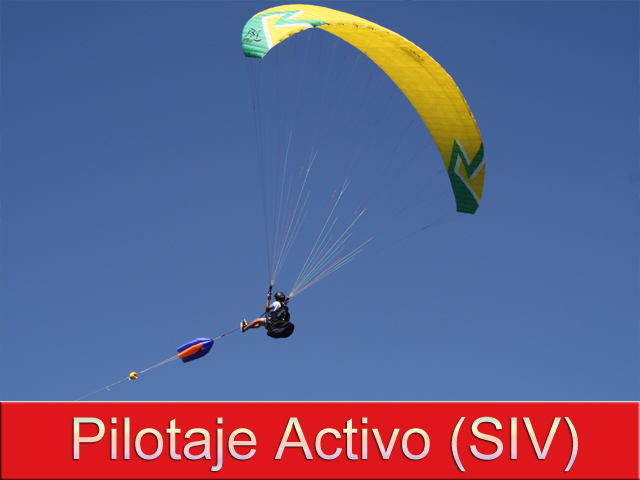 This course has as main objective to offer the pilot clear references in the use of the paraglider in its different configurations possible in flight, acquiring the theoretical and practical knowledge of the operation of the paraglider. In the theoretical classes we will see the operation of the Paragliding in the different configurations and the most common situations. In the simulator we will practice the different positions, grips, movements of each maneuver, and launch parachute with revision and control of the chair and parachute system. In the flights we will perform the maneuvers progressively above the water with the corresponding assistance.